I met artist Kay French in my recent workshop at the Burke Museum. 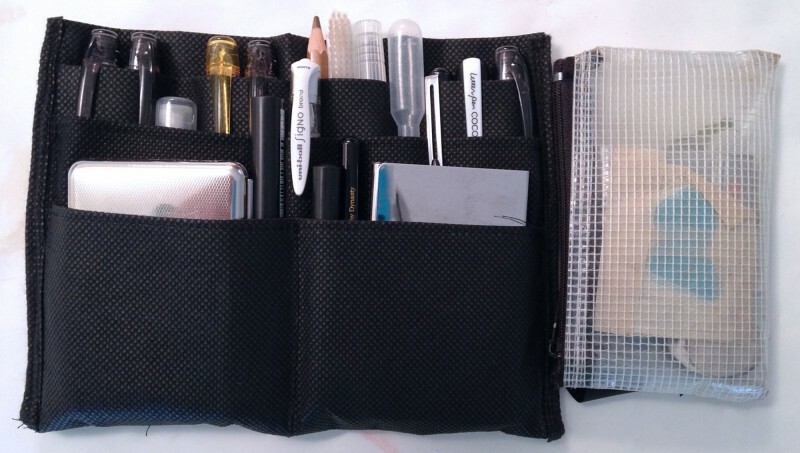 She is an avid sketcher and has made herself a mini art kit, featuring the Pocket Palette as her “always-in-my-purse” palette. 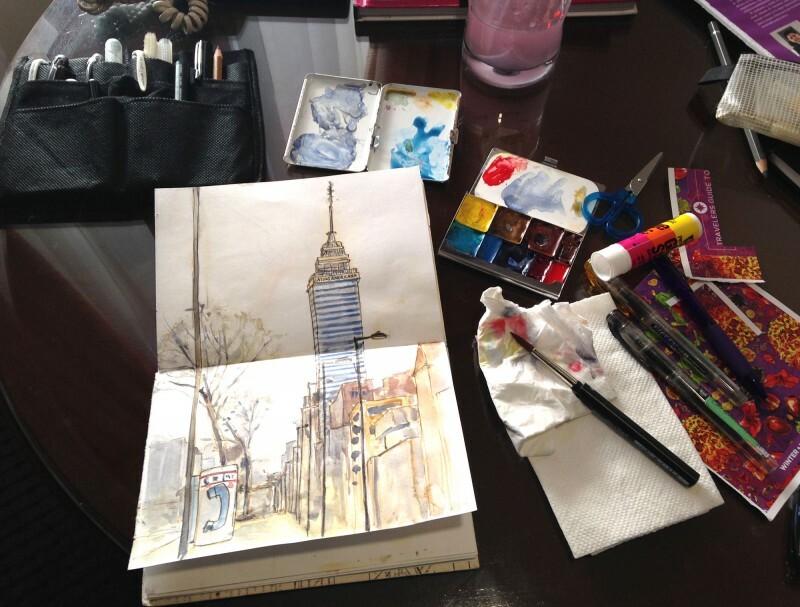 Kay recently traveled to Mexico City and shared a few images of her sketchbook and tools. Kay sewed her own toolkit that fits perfectly into the front pocket of her purse. 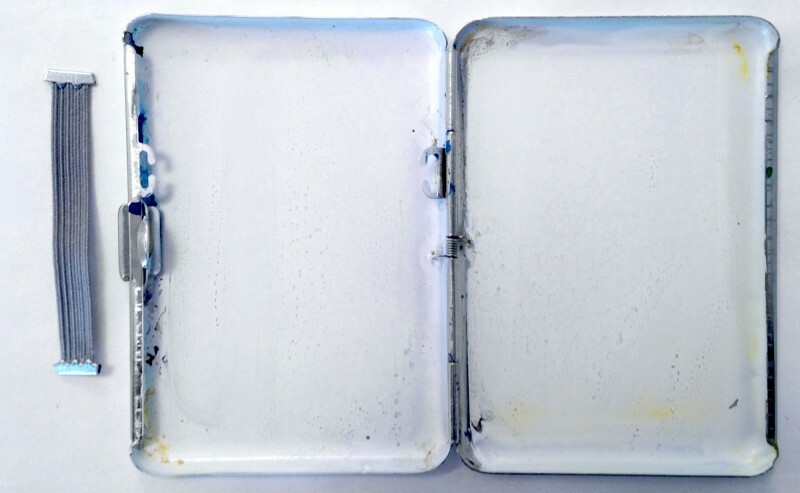 A neat compliment to her Pocket Palette is a cigarette case that she uses as an additional mixing surface. She spray painted the interior white. Check out more of Kay’s lively sketches on her Flickr page!